Taking the third spot in the top cities for business travel in 2019 is Paris, after a 20% growth in air travel was recorded to the French capital between 2016 and 2018. Arguably Paris’ most iconic landmark, the Eiffel Tower was the 5th most visited attraction in the world in 2018 and is synonymous with a marriage proposal or two (it is called the ‘City of Love’ for a reason). You can explore its 3 floors with plenty to see and do on each, from restaurants and glass-bottomed floors to macaroon and champagne bars. Make sure to visit at night to see the illuminations and sparkle show, with its beacon that shines out over the city. As some would say, you haven’t been to Paris unless you have visited the Eiffel Tower. Another thing that Paris is famous for…its museums. 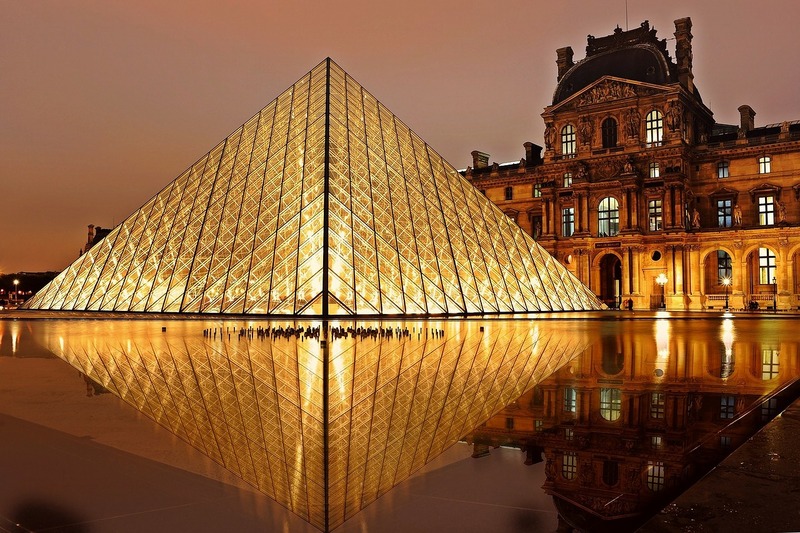 The Louvre was (surprisingly) the 4th most visited attraction in the world in 2018, beating the Eiffel Tower by one place. With its iconic pyramid design, the Louvre is the largest art museum in the world and attracted over 10 million visitors last year. Another famous art museum to visit is the Musée d’Orsay, which houses the largest collection of impressionist and post-impressionist masterpieces in the world. The Champs-Élysées is one of the most famous avenues in Paris and is widely regarded to be one of the most recognisable boulevards in the world. Known for its theatres, cafes and luxury shops, things to see include Concorde Square, the Grand Palais and Petit Palais museums, and major shopping streets: Avenue des Champs-Elysées, Avenue Montaigne and Rue Saint-Honoré. The Arc De Triomphe, another of Paris’ iconic landmarks, is located here, where you can climb to the top and observe beautiful views over the city or visit the dedicated museum situated within its structure. 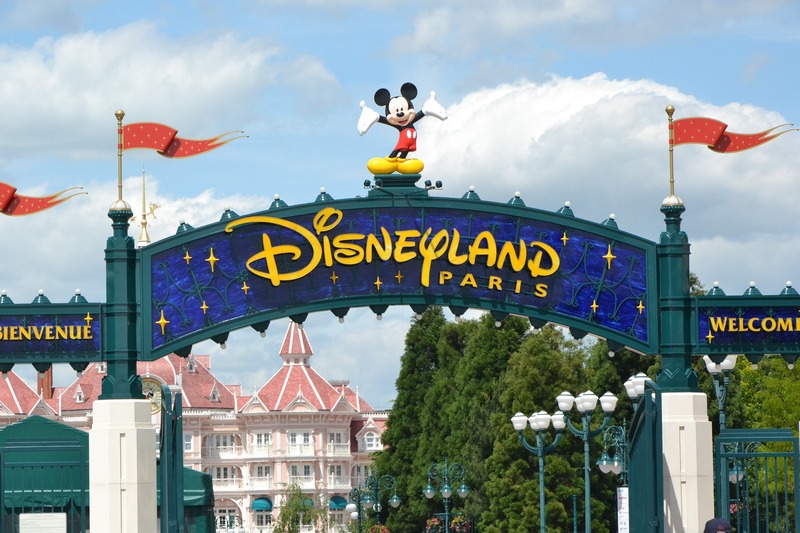 Situated just 20 minutes outside Paris, Disneyland Paris is Europe’s most popular and most visited theme park. With 2 parks in 1, visitors can experience 53 different rides, watch various shows and street parades, meet their favourite Disney characters, and dine out or go shopping. Disneyland Park has 5 different lands filled with various attractions and Walt Disney Studios Park takes you behind the scenes of Disney TV and film. Be sure to check out the Star Wars Hyperspace Mountain (Disneyland Park) and Rock ‘n’ Rollercoaster (Walk Disney Studios) if you are a thrill seeker. French food is known globally for its flavour, finesse and unconventionality. Famous for its classic dishes, cheese, chocolate, desserts, pastries, and bread, there is sure to be something to suit all taste buds. If you are feeling adventurous, then perhaps one of France’s most outlandish dishes will appeal to you - snails. This historic church is a masterpiece of Gothic architecture in the heart of the city. You might have heard of it before, as it featured in the famous Disney film ‘The Hunchback of Notre Dame’. You can choose to have a guided tour to learn more about the history of one of Paris’ top attractions or you can explore the church yourself at your own leisure. If you feel like venturing outside of Paris, then why not check out the Palace of Versailles, another historical landmark on our list. Located approx. 1 hour outside Paris in the city of Versailles, the Palace has a rich history with 2,300 rooms to marvel at. You can explore the whole estate including the palace, surrounding gardens, parks, exhibitions and more. If you wish you can also have a guided tour. If you are looking for a historical attraction that is a little more eerie, then the Paris Catacombs might just be for you. The underground tunnels contain the bones of more than 6 million Parisians from the 18th century. Make sure to purchase the audio guide to learn the history as you explore the underground grave. It is recommended that those with claustrophobia or mobility issues do not visit this attraction as the tunnels are narrow and stretch for 2km. Another attraction on our list made famous by Hollywood: the Moulin Rouge is situated within a 19th-century windmill and offers a glimpse at the world-famous risqué cabaret. This is a must-see for theatre and film enthusiasts alike, with extras that include a 3-course dinner and/or champagne. Situated beside the Eiffel tower, the Seine River flows east to west through the heart of the city and divides Paris’ left bank and right bank. There are a number of different cruise options that offer sightseeing, hop-on hop-off facilities, dinner, and champagne. This is a must if you wish to see Paris from a different and more unique perspective. From embracing French culture and sightseeing, to adrenaline pumping theme parks and underground tombs; with so much to see and do in Paris, there is sure to be something to suit everyone. If you would like a more comprehensive guide on all things Paris, then visit Time Out.